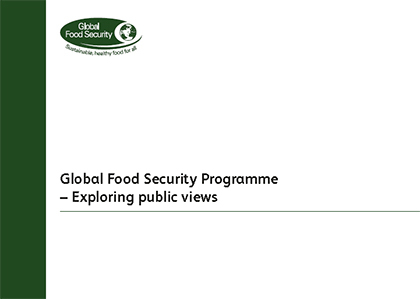 direction of the programme. 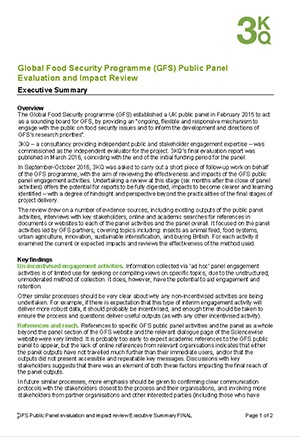 This report provides a summary of the key findings. 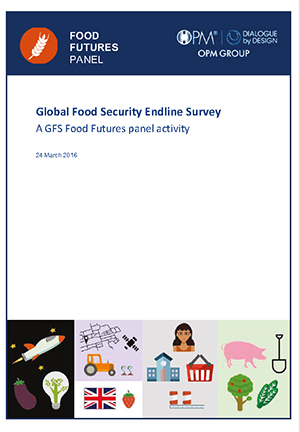 This report details findings of a set of public workshops that engaged participants to consider aspirations and concerns around the research needed to help address the challenges facing food security. 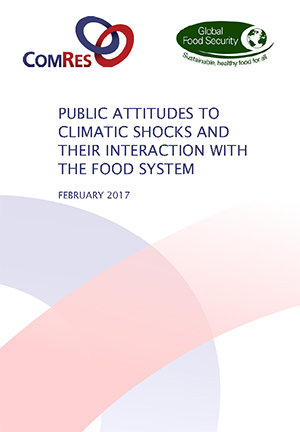 Specifically, the study aimed to characterise and identify issues that could warrant a deeper dialogue with a larger group of the public. 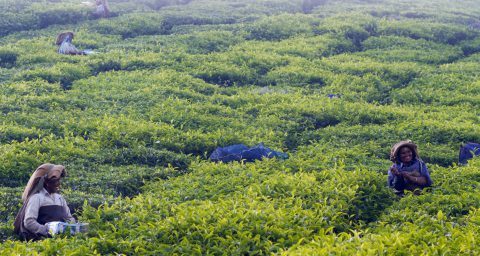 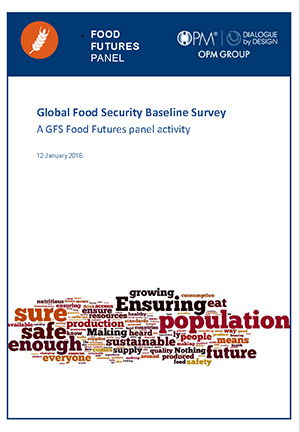 This report details the findings of a public survey, looking to benchmark public attitudes, opinions and understandings of global food security. 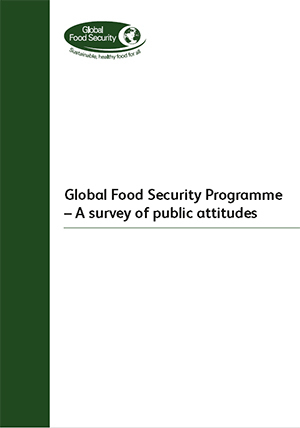 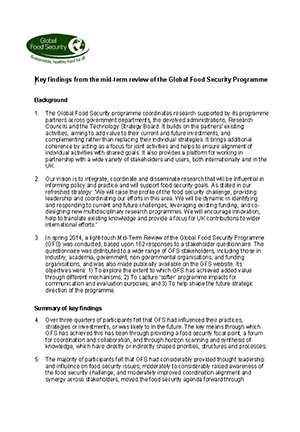 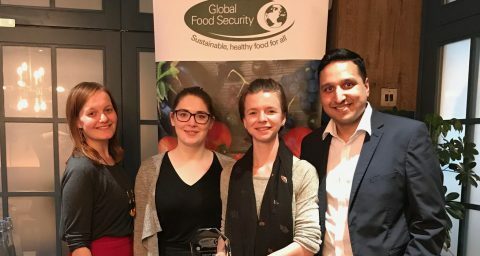 This survey was the first stage in a programme of public dialogue, feeding public views, aspirations and concerns around global food security into the work of the GFS programme.